One of the things that are a real downer about car chargers is that, more often than not, they don’t do much more than trickle charge your phone, and that’s when they work. This is almost always the case for car chargers that you buy from a gas station or local store. To get a good one, you really do have to do your research and shop online. Unfortunately, this is a serious problem, particularly for phones that have a larger battery and take a longer time to charge like the iPhone X. Usually, they can’t do much more than keep your phone at the percentage it’s at, and if you don’t touch your phone, you might gain a couple percent’s worth of battery by the top of the hour. If you’re done with this nonsense and want a real car charger, follow along below and we’ll show you our favorites for the iPhone X. You can say goodbye to trickle charging from now on, because you’ll be getting your fast charging on with these car chargers. First up is the BC Master, a 34.5W Car Charger. 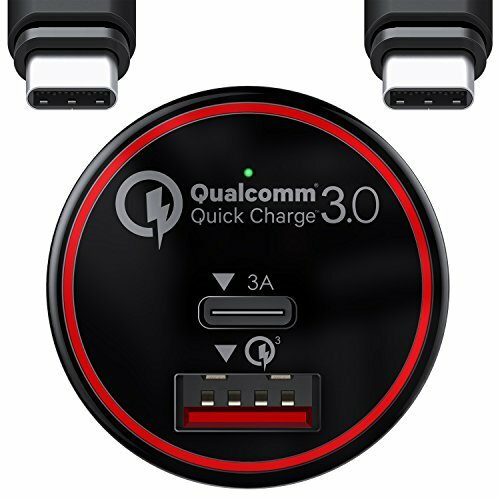 Your iPhone X is capable of fast charging at a rate of 30 watts, so this car charger has just a few more than that. This works well in the event that you wanted to charge a second device at the same, as it does come with a USB-C port in addition to the USB-A port for your iPhone X. It’s also a fairly slim design, so it won’t take up much room in your console area. Secondly, we have this sleek-looking Aukey 36W PD Charger. You wont’ find any trickle charging in this charger — hook up your lightning cable to the USB-A port and you’ll be charging your iPhone X at speeds that you would see from the wall outlet at home. This car charger works for more than just the iPhone X, though. There’s a secondary USB-C port that you can use for other devices, say, an Android phone like the Galaxy Note 8 or Galaxy S9 — it’s up to you! And if you want, you can charge two devices at the same time! Next up, is the Anker 54W PowerDrive+ 4. 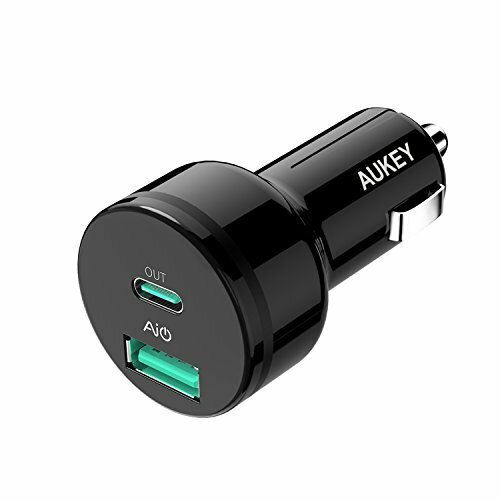 Yes, this car charger is actually capable of outputting up to 54 watts, even though your iPhone X can only receive up to 30 (due to protections built-in, your iPhone X will never receive more than 30 watts). It’s able to handle four devices at a time, so due to its extra wattage, you should, in theory, be able to charge every device hooked up it at a fast charging rate. And because it’s such a high wattage, there’s a built-in chip keeping you protected against voltage spikes, temp increases and over charging. Another charger you might want to consider is the RAVPower Charger. With this charger, you get two ports: first, a USB-A “smart” port that automatically detects how much wattage your phone is able to handle. In the case of the iPhone X, it would charge it at its designated fast charging rate of 30 watts, giving you the fastest possible charge (the same charge you would get from a wall outlet). Then, you have a secondary USB-C port, allowing you to charge devices with a USB-C port (you would need a USB-C to USB-C cable). 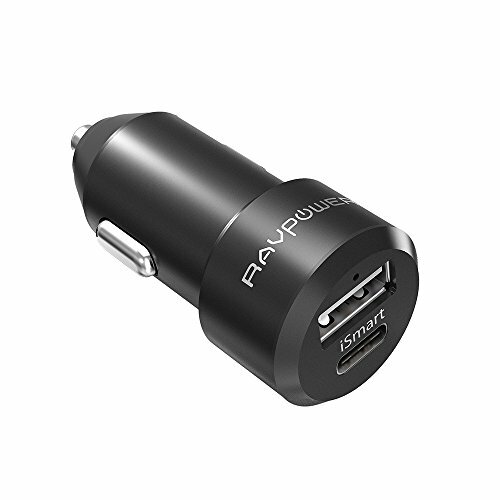 A nice addition to this car charger is just how confident RAVPower is in their product: with your purchase you get a 30-month warranty protecting you against any defects. Finally, we have the Meagoes PD Car Charger. 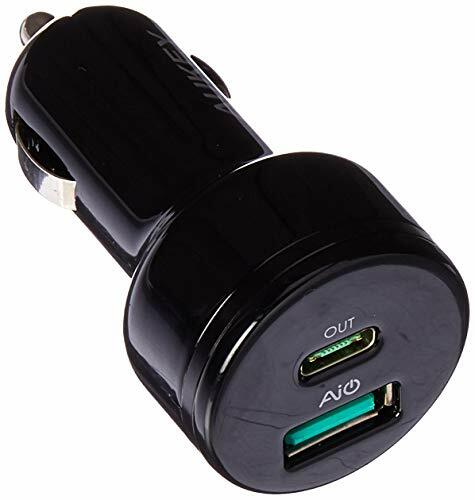 This Car Charger is very similar to the RAVPower Charger in that has the two ports — a primary USB-A Port and then a USB-C port. The USB-A works great for charging your iPhone X at its fastest possible speeds. The USB-C will offer similar speeds to whatever device you hooked up to it, that is, depending if said device supports the higher wattage. So, out of these five great car chargers, which one should you pick up? 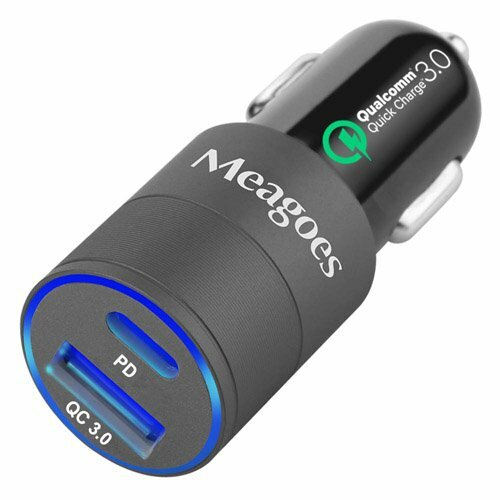 We recommend going with the Meagoes PD Car Charger. It offers great speeds for your iPhone X, and has a slim profile — this means that your car charger isn’t going to take up a lot of space in your console area. 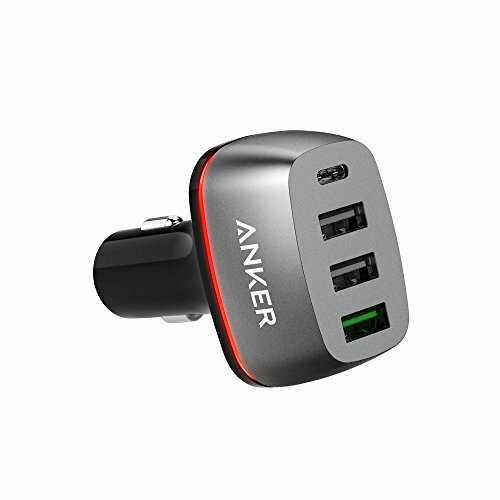 If you’re charging multiple devices, you can’t go wrong with the Anker 54 PowerDrive+.